I have just heard, as I write, that Metropolitan Silouan will be visiting St Edward’s on Sunday 14th April. It will be almost two years to the day since his last visit, and I hope that there will be a good attendance to welcome him. Had we been a larger parish he would have arrived on Saturday and met various groups of people, (church officers etc.). We have none of these, but there will be a buffet lunch after the Liturgy and an opportunity for individuals to talk to him and express any concerns that they may have. This could be either after the Liturgy when you are seated in the church, or individuals might approach him with any private concerns during or after refreshments. This Newsletter is an important means of communicating with those connected with St Edward’s, whether they attend most Sundays, or perhaps only occasionally. Through this medium I would like to make an important point that has recently arisen. If you have any names you would like commemorated under these headings please let me have them well before the service. It is not practical to take them at the last minute. There might not be time to commemorate them without starting the service late These could be sent to me by e-mail, or by post, handed to me after the liturgy on the week before or, by 9.45 at the latest on the Sunday morning, although I do often have confessions at that time so the earlier the better. Some people have recently been submitting very long lists. On one Sunday I had a total of more than one hundred names from only three people, and that is in addition to my own! I was thankful that not everyone present that morning had submitted similar lists! My wish is, when I am making these commemorations, to read out the names slowly and thoughtfully, as is only right. Even if they are of people entirely unknown to me, they are, after all, known to God. In the case of the living I suggest that it they are in good health, you submit their names less often, or divide them over the weeks of the month and, in the case of the departed, do the same, with an extra commemoration at the time of their anniversary. We are planning to enlarge this area by removing the unused pew that stands right in the middle, and replacing all the carpet. It would tidy up the area with a cupboard to house the ‘electrics’ and space for the toys and books to be kept in. If you have any ideas how we can improve the facility, please talk to me. We need two strong men to remove the pew and carry it over to Athelhampton House for storage, also to help with the re-ordering of the space. Any volunteers please? At one time I would have taken one end, but those days are over – see below!! I am increasingly suffering from the effects of advancing years – old age. Of particular concern, this is effecting my memory – especially remembering names. In connection with this, and with regard to those who come up to receive Holy Communion, could I please ask you, or remind you, to say your name distinctly so that I can hear it. I made this request some time ago, but a number of people have joined us since then. Others have, perhaps, forgotten. If you have requests for intercessions to be made for particular people, please write their names with the reason. Unfortunately, I do not always remember matters which are spoken. could I ask those who in this group, and the congregation as a whole, to listen to and take their time from Lesley [when she is there, and to each other when she isn’t!] In any singing group it is important to follow the Leader of the group. Unless you are all singing together, you cannot be thought of as a group at all – just as a collection of individuals, and the singing suffers and may not be pleasant to the ear. Also, there is the question of volume. It should not be possible to pick out any particular voice from the group because it is louder than the rest. It is important for the voices of individuals to blend with the others. We would like to “Spring Clean” the church before the visit of the Bishop and for Pascha. Please contact Lesley (lesleyharris6792@yahoo.co.uk so that we can organise a date and time. Thank you. Lesley would be grateful if anyone could help decorate the Bier on Holy Friday from about 3.00. Please let her know if you are able to help. Thank you. PALM SUNDAY The Divine Liturgy 10.00 a.m.
HOLY WEDNESDAY Holy Unction (anointing) 6.00 p.m. This service includes the Blessing of Oil for use during the year, and those who wish may come to be anointed during the service. HOLY THURSDAY Vesperal Divine Liturgy 10.00 a.m.
HOLY FRIDAY Matins for Holy Saturday and Lamentations 6.00 p.m.
HOLY SATURDAY THE PASCHAL DIVINE LITURGY 9.00 p.m. In this Liturgy we celebrate the Resurrection of Christ, which took place in the early hours of the morning when it was not yet light. I have been told that 9.00 p.m here will be early morning in Jerusalem. It is my hope that this Newsletter may reach as many as regularly attend our church before Sunday 6th January because on that day we celebrate the great feast of the “Theophany of our Lord and Saviour Jesus Christ”. The word Theophany means the revelation, or manifestation, of God to the human senses. The Gospel for this day is the Baptism of Christ in the Jordan. We are told that, immediately after his baptism by John, and as he came up out of the water, the heavens were opened to him, and he saw the Spirit of God like a dove descending upon him. Immediately there was a voice from heaven which proclaimed that “This is my beloved Son, in whom I am well pleased”. Immediately after his baptism, St Matthew tells us that Jesus went into the wilderness to be tempted by Satan. No doubt ringing in his ears was the divine voice proclaiming “This is my beloved Son …..”. These were the words that Satan seized upon three times. “If you are the Son of God ….” and tempted him to perform three wonders for his own benefit. All of these he rejected before setting out on his ministry. During the service for Theophany we shall bless the water to be used for the forthcoming year. It is customary for those attending to bring a bottle to take some of the water to keep in their icon corner at home for the forthcoming year. If you are unable to be there on the day you may take some of the water on subsequent Sundays. A 6th century Celtic monk, possibly from Wales, but honoured in Cornwall and in Dorset, as well as in Jersey. A monk, he may also have been a bishop. The Exeter Martyrology bescribes Branwalader as a son of the Cornish king, Kenen. In 933, King Athelstan of Wessex founded a Benedictine abbey at Milton, Dorset. This was dedicated to St Mary, St Sampson, and St Branwalader. Among many relics presented to the abbey by the king was an arm of St Branwalader. A bar to Holy Communion? Lesley was listening to an article on the radio recently and asked me why women are considered unclean when experiencing their monthly period. She pointed out that if they didn’t have these, the human race would die out. It has since come to my notice that in some Orthodox traditions women who are having a period are barred from receiving Communion. This, it seems, is based on regulations in the Old Testament book of Leviticus. However Christians, apart from an obligation to observe the Ten Commandments, have been entirely freed from the Jewish Law. We are a New Testament people, set free from this ancient law by the death and resurrection of Jesus Christ. I would like to make it quite clear that all Orthodox, male or female, are free to receive Holy Communion at St Edward’s and that no one man or woman, should feel barred except by serious un-repented sin from receiving Holy Communion. To all those who brought in supplies for the Food Bank before Christmas – a huge ‘Thank you’. I took over 8 large bags of Christmas food which will have made a great difference for the many forced to use this facility. Talking to a friend [not at Church], I found that she was very cynical about those who use this service. I had to correct her and point out that this is definitely not a system that is open to abuse. Please can we change our focus now? The organisers have asked if we could bring in toiletries, feminine products and also supplies for babies. At present these are in short supply. Thank you again! Our first priest, Fr John Nield reposed 18th January 2001. We shall serve the customary Trisagion for the Departed after the Divine Liturgy on Sunday 20th. Metropolitan Silouan has only once visited St Edward’s since has appointment. This is largely due to his poor health since his appointment. From this, you will note that it will be assumed that we have at least a number of parish officers, who will initially be appointed by me, and we shall also work towards the election of a parish Council. Further details will be announced A.S.A.P. The Nativity Fast commenced on 15th November. This is another way in which the Orthodox and Western observance and terminology differ. Those of us from a Western background will have been brought up to think of a forty day preparation for Christmas (the Nativity) which is known as “Advent” (Latin for “The Coming”). Those from an Eastern background will think in terms of a forty day preparation known as the Nativity Fast. Although both traditions use purple vestments during this period, signifying solemnity, only Orthodox will put any emphasis on the aspect of fasting, and in this case this is usually on a lower level than the fasting period of Great Lent in preparation for Pascha. In Britain, the entire period leading up to Christmas is traditionally, for most people, a very busy time for another kind of preparation. That is “Christmas shopping” encouraged by displays in the shops – a very busy time commercially, in fact the busiest time of the year, contributing the most important part of the annual income for many shops, which are dressed in festal array to attract business. Then there is that very British custom of Carol Singing where groups travel from house to house singing, and collecting money – some of it, but not all, towards good causes. Christmas itself is celebrated today in two main contexts. It ought to go without saying that the first of these will be in church, and on the proper day (December 25th). But it is also celebrated beforehand in schools at the end of term, where the carol service may be up to a week before the actual date and many will not be seen in church on 25th. So for today’s non-churchgoing majority, apart from the exchange of presents, it is all over well before the 25th. Those attending church recently may have noticed that there are more seats reserved for the choir at the back of the church. That is because we now have more singers, but it also means that those who sit on that side of the church will need to move further forward. This is a good thing in itself because the smaller gap between those in the altar and the congregation will lead to a better sense of community. The fact is that we are a community. We are the Body of Christ. The Body of Christ in one place is one and does not exist in small groups. We shall really be making progress when the front pews are also occupied! Barbara was the daughter of Dioscorus, a rich pagan of Heliopolis, in Syria. She was extraordinarily beautiful, and her father built a tower in which she was lodged. Only her pagan teachers were allowed to see her. From her tower she enjoyed a view, of inexpressible natural beauty, of the earth by day and of the heavens by night. This led her to ask herself questions about the first cause and creator of such a splendour. She became convinced that the heathen idols, made by human hands, were incapable of creating such wonders and she decided to devote her life to the knowledge of the one true God. Dioscorus decided that her life of seclusion had affected and corrupted her, so he gave her full freedom to leave the tower and to choose her own friends. In this way she met young Christian maidens in the city and learned about the Christian God. A visiting priest, disguised as a merchant baptised her, before returning to his own country. Meantime, Dioscorus, who had been travelling away from home, returned. After being told by his daughter of the Triune God, of the saving power of his Son, and of the futility of worshipping idols, her father flew into a rage. He was about to strike her with a sword when she fled from him and hid in a hill-side cave. Searching for his daughter he was directed to the cave by some shepherds. Dioscorus beat his daughter and attempted to starve her into submission, finally handing her over to the prefect of the city where she was joined by another Christian woman, Juliana. These two were tortured, then led naked through the city to the mockery of the citizens. They were then executed, Barbara being beheaded by her father. If you are making a charitable donation this Christmas, it has been suggested by the Deanery that we send our support to the UNICEF charity. In their ‘Give light back to the children of Syria’ campaign they are doing as much as they can for 8 million children who are in need of humanitarian aid. Details can be found on line. Please ask Lesley for details. Sunday, 16th of December will be the last day for Christmas donations, Thank you. Smaller items can be shared around more easily, but we are grateful for any Christmassy items. Wanted Jam jars please, it’s nearly marmalade time! The belief in the Dormition of the Theotokos was originally passed down in the Church by word of mouth (the Oral Tradition). Before there were any written records. There is no information in the New Testament (canonical) scriptures concerning the Dormition, but it is recorded in some of the non-canonical writings as well as in other early records, none of which are authorised by the Church. However the general truth of the tradition is accepted in both East and West. These traditions maintain that Mary died, as we shall all die, not voluntarily, like her Son, but because of her mortal human nature. Having truly died she was then raised up by her Son and participates already in the eternal life of Paradise which is prepared and promised to all who “hear the word of God and keep it (Luke11:27-28). On the 15th August both East and West have celebrated the Dormition of the Theotokos from early times a good indication that, unlike other dates in the calendar, this may well be the actual date of her death. This is preceded by a two week fast. Although there are some differences between what is believed in East and West the basic facts are the same. This feast commemorates the death, resurrection and glorification of Christ’s mother. It proclaims that Mary has been “assumed”, or “taken up” by God into the Heavenly Kingdom of Christ in the fullness of her spiritual and bodily existence. In this respect, in following her Son into the Heavenly Kingdom, Mary is unique. But all who follow Christ in this life are also to follow him at the end into his Heavenly Kingdom. In the meantime, following death, we shall all be buried while we await the resurrection. It is for this reason that the Church does not bless the practice of Cremation but, in faith, buries her departed members in the earth to await the glorious Resurrection. Some Orthodox do insist, against the teaching of the Church on cremation. In such a situation we cannot bless such an act, but we may serve the traditional Funeral service in church. Then, usually immediately afterwards, the departed is taken, without the priest, for cremation..
Those who have been in the church recently may have noticed that there has been some re-arrangement of our icons and some new blocks of icons added. I have begun the process of mounting some of the paper icons and some of these now hang in two blocks in the church but, as yet in no particular order. I hope that, in due course these will be arranged according to themes e.g. “the Life of Christ”. Our annual Open Day is held each year in conjunction with the Five Churches Fete at Athelhampton House. St Edward’s one of the “five churches” and visitors, many of whom may never have been inside an Orthodox Church, although some do come over year after year, are invited to visit us. This is an opportunity for us to inform visitors of something of the Orthodox Church and Faith. Volunteers are needed to be in the church to welcome visitors and to answer any questions they might have. Thank you. This works alongside the Dorchester Food Bank. It provides food hampers containing essentials to families whose children receive free school means during term time. Summer holidays can place extra financial pressure on families, and it is hoped that these hampers will “fill the gaps” left when schools are closed. Non-perishable items such as soup, tuna, tinned vegetables and fruit etc. can be left in the “Food Bank” box at the back of the church. Although the school holidays may place an extra strain on needy families with children the need is all year round. Perhaps whenever you come to church you would bring something to put in the box? The one who has come to know the love of God himself loves the whole world and never murmurs at his fate, for temporary affliction endured for God’s sake is a means to eternal joy. Born in about 1265 near Smyrna in western Asia Minor, in about 1290 he was captured by the Hagarenes and taken to Laodicea. He was ransomed and travelled to Cyprus where he was tonsured a rasophore monk (the first stage in Orthodox monasticism). He subsequently went to St Catherine’s Monastery on Mt Sinai where he received the great schema (the highest stage in monasticism). After a time on Sinai, Gregory set out for Jerusalem. From there he went to Crete where he learned the Jesus Prayer and hesychasm (the place of the body in prayer) from the monk Arsenios. Around 1300 he moved on to Mt. Athos, and the Magoula skete near the Philotheou Monastery. Having learned the experience of many centuries from the ancient monasteries Gregory settled in a solitary place for “Hesychia” (stillness, doing the Jesus Prayer), in a cell for silence and the unhindered pursuit of mental prayer combined with hard work. With Gregory Palamas, he helped to establish Mount Athos as a centre of hesychasm. He founded several cells on Mt. Athos, as well as four monasteries in Thrace. According to one source he reposed in 1310 on Mt Athos. Another states that he was on Athos until the third decade of the fourteenth century when the Turks began to raid the monasteries. He took refuge in Bulgaria where he founded a monastery in the mountains on the west coast of the Black sea. There he reposed on Nov. 27th 1346. Over the years there has been an increasing need for storage space for numbers of assorted items not in regular use but which could be needed at any time. Also for toilet facilities to replace the “Porta-Loo” which has graced the south exterior side of the church for some years now. Two years ago we received a substantial legacy from a retired Anglican priest who attended St Edward’s when he was able. It was recently suggested that this might be used to provide the needed facilities. Initially we had envisaged a stone building to match the church, but this would have been too expensive, so our surveyor suggested a quality hardwood structure needing minimal maintenance to include a toilet and a storage area, with a path from the existing path between the churchyard gate and the church door. Our surveyor is now preparing the designs and when these are ready they will be on display in the church and we shall also be applying for grants which may be available to assist us. There are many disadvantages to growing old. These will be experienced to different degrees by different people, as we shall all discover in due time. At present I am suffering with memory problems. In the Divine Liturgy, when giving Holy Communion, sometimes I cannot remember a person’s name, even one which I ought to know perfectly well. I would be grateful if, when you come up to receive Holy Communion, and just before receiving, you would say your name so that I can hear it. Thank you in anticipation. We recently had an e-mail from Sophia, who used to come to St Edward’s while she was working in Dorchester, to say that she was to be getting married on Sunday September 30th on the Greek island of Naxos in the Cyclades. Lesley and I hope to be there, as well as Flori, who is kindly making the travel arrangements, Constantine, and Vlad. . The Groom is a longstanding friend. They met when he was 8 and Sophia was 3years old. I am sure that all at St Edward’s who knew Sophia will wish them well for a long and happy married life together. Many readers of the Newsletter will remember Deacon Filip Lommaert who was ordained deacon during his time with us at St Edward’s. Prior to this he had served in the parish as Server, Reader, and Sub-deacon. I was sorry to lose Deacon Filip, but he will have benefitted from his time in the larger parish of Poole and I am sure that he will now be ready for this new stage in his ministry. Our prayers will go with him. Elizabeth was born in1864, the daughter of Grand Duke Louis IV of Hesse and Princess Alice of the U.K., a daughter of Queen Victoria. She was orphaned in 1878 at the age of 14, and partly brought up by Queen Victoria. In 1884 she married Grand Duke Sergei of Russia but did not convert to Orthodoxy until 1891. This was of her own volition, and her protestant relations, with the exception of Queen Victoria, showed little understanding of her choice. However, when she announced her decision to her husband it is said that “tears involuntarily poured from his eyes”. The Tsar was also deeply touched by her decision. On February 18th 1905, Elizabeth’s husband was assassinated, while on duty in the Kremlin, by a revolutionary activist. Hearing the explosion from within the building Elizabeth went out and helped gather her husband’s body parts which were scattered in the snow around the square. Later, she even had the strength to visit the assassin in prison hoping, without success, to soften his heart with her forgiveness. On leaving, she left a copy of the Gospel in his cell. Subsequently, the Grand Duchess gave away all her jewellery, and sold all her most luxurious possessions. With the proceeds, she opened the Martha and Mary Home, later Convent, in Moscow to foster the prayer and charity of devout women. For many years she helped the poor and orphans in this home. In April 1909 Elizabeth and seventeen other women were dedicated as Sisters of Love and Mercy. Their work flourished, and soon they opened a hospital. A variety of other philanthropic ventures followed. In 1918, Elizabeth and the Nun Barbara, who had refused to leave her abbess, were taken to Ekaterinberg with other members of the Royal Family. They were herded into the nearby forest where on July 19th they were pushed into a mineshaft followed by grenades. A witness recorded that survivors were heard singing hymns for some time after the Bolshviks had left. One of Elizabeth’s last actions in the mineshaft was to bandage the wounds of Prince Johann. When the White Army briefly recovered the area her relics were recovered, and the account of the witness was recorded. Her relics were first taken to Beijing and placed in the Church of St Seraphim of Sarov. Subsequently they were taken to Jerusalem, to the Church of St Mary Magdalene. Elizabeth was glorified by R.O.C.O.R in 1981, and by the Russian Church as a whole in 1992 as the New Marty Elizabeth. In 2004 a portion of her relics were taken to Russia where they visited 61 dioceses and were venerated by over 10 million people. A portion of these was given to the Ss Mary and Martha, her restored convent in Moscow, where they remain. Many are those who have struggled and freed themselves from the world by the most severe austerities. However, since they did not submit themselves to the hand of God and the work of grace in lowliness and humility, they have gone astray. If we are freed from the world, we must also be freed from ourselves so that God can take us and shape us freely. With the great Feast of Pentecost we completed the observances both leading up to Pascha, and flowing from that Feast. These commence with the Sunday of the Publican and the Pharisee, four weeks before the start of Great Lent. Then there are six Sundays in Great Lent, bringing us up to Palm Sunday and Great and Holy Week, which leads us into Pascha. Our recent landmarks have depended on Pascha and the fifty days since the Resurrection of the Lord. The first of these, falling on day 40, is the Feast of the Ascension, which always comes on a Thursday, and then, ten days later we celebrate the Feast of the Holy Spirit, or Pentecost. The whole cycle that I have described above consists of, I think, a total of fourteen Sundays, or just over a quarter of the year. This, as well as the fact that every Sunday is a celebration of the Resurrection emphasises the critical importance of Pascha to the Christian. When we were notified of the dates etc. Last year, I reserved two places, but as Lesley had the chance to have the operation on her arm at very short notice, our situation changed. It would have been too far for her to drive so soon after the operation and these days I only drive locally when there is no alternative. No doubt we shall receive news of the conference in due course. The time available for these before the Divine Liturgy is limited as I always aim to start the Liturgy at the advertised time of 10.00. Would those wishing to make their confessions please notify me the night before by e-mail or phone by 6 o’clock at the latest, and be in church by 9.45 on Sunday? Also, if you have people that you would like prayed for in the Proscomedie, the preparation service before the Liturgy, would you please let me have their names either the week before, or on Saturday evening by e-mail. Thank you. There was a time under my predecessor, whose wife was the cantor, when the congregation at St Edward’s were actively discouraged from singing. In other words, the cantor sang as the representative of the congregation, leaving everyone else with nothing to do. St. Edward’s, everyone is encouraged to take part in the service, not only with heart (silently), but also with their voice. Sing the same tune as the cantors. This is not difficult, and if we follow them carefully the sense of worship and devotion in the church will be greatly improved to the benefit of us all. There was a good response to the Easter appeal for donations of food for the Food Bank. Many thanks to those who contributed at that time. This is just a reminder that there is a continuing need for contributions. These do not need to be expensive or luxury items – just simple things that some people are unable to afford – and don’t forget that some of them are families with children! Toiletries are also welcomed, including items for babies. Those who seek the Lord should not look for him outside themselves; on the contrary, they must seek him within themselves through faith made manifest in action. For he is near you: The Word is…. in your mouth and in your heart, that is, the Word of faith (Rom. 10: 8) – Christ himself being the Word that is sought. St Maximos the Confessor. Saint Columba of Iona, sometimes called Columcille (Dove of the Church) was born in Garten, County Donegal, Ireland, in the early 6th century. He was of royal descent. Following a dispute over a book of Psalms that he had copied there was a battle, which led to many deaths. As a penance, Columba’s confessor sentenced him to leave Ireland. With twelve companions, at the age of 42, Columba set out for Scotland, on a mission to the heathen there, never to return. Little detail survives of this mission. He built a monastery on the tiny island of Iona. He also converted the King of the Picts and continued his mission in that kingdom. There he also encountered the Loch Ness monster, the first written reference to this creature. Columba died in 597, and became patron saint of Scotland. For reasons unknown he was later replaced by St Andrew. Apostle. On 17th May the Church will be celebrating the great Feast of the Ascension. This concludes the Resurrection appearances of Jesus Christ, and marks the end of his earthly life and mission. The one exception is his appearance to Saul of Tarsus. Saul was on his way to Damascus to persecute the Christians there but following the appearance of Christ he became a Christian. Now Christ reigns in Heaven, and Saul of Tarsus became St Paul, an apostle and powerful witness to him. On the second Sunday after the Ascension we celebrate the great Feast of Pentecost. We can think of this occasion as being the Birthday of the Church, through which the living Christ is made present in the world through his people. It is the day on which the apostles, who had been waiting for the fulfilment of the promise made to them by the Lord himself, received the gift of the Holy Spirit. Through the Holy Spirit they were given power to preach and bear witness in the world to the Gospel. This they did with power and without fear. Most of them, and many of their first followers were so convinced of the truth of the Gospel that they were prepared to suffer beatings, imprisonment – even death – for their witness to Jesus Christ. So the Church was established and within three centuries became the official religion of the Roman Empire. Edbert became Bishop of Lindisfarne in 698 on the death of his predecessor, St Cuthbert. He founded the shrine to St Cuthbert on Lindisfarne, an island off the coast of Northumbria. Although the relics of Cuthbert were removed to Durham soon afterwards, Lindisfarne continued to be a place of pilgrimage for another 900 years. 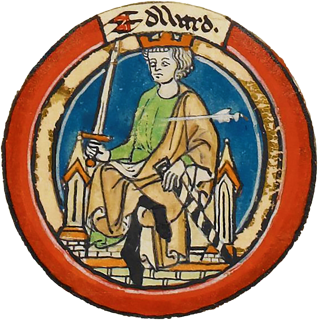 Edbert followed the rule of poverty as well as long periods of solitude and devotion as part of his service as bishop, and on his death in 698 he was buried close to Cuthbert’s original shrine..
St Edbert is commemorated on 6th May. St Edward’s was, as usual, radiantly decorated with flowers for the Paschal festival. Thanks to all those involved in the decoration of the Church, also to those who gave donations towards the costs. It was good to have so many join us for the Paschal Liturgy, and a joy to see so many children there, and so beautifully behaved. Someone commented afterwards that it felt like a big family – which is indeed what we are! A lot of preparation went into providing the food for the feast afterwards. There was a wide range of offerings reflecting different nationalities’ Paschal traditions and some beautifully decorated eggs. Thank you all. See Photos on our new Web Site – see below. The Marathon is scheduled this year for Sunday 27th May, starting at 8.30 a.m. If you don’t live locally you will not have received any information on this regarding road closures etc. As far as access to Athelhampton is concerned the A35/A354 will be open in both directions. Access to Athelhampton will be via the junction between those two roads, and signposted to Puddletown. The Puddletown road will be one-way so, on leaving after the service, turn right and drive via Tolpuddle to re-join the A.35. From that point you should be able to follow your usual route. After many months without a web site we now have a brand new one up and running thanks to the hard work put into it by Nikita. At present Nikita is continuing to sort out and revise what he has so far achieved, from information on the formation of our church and parish, and also including forthcoming events, which do not necessarily appear in the Newsletter. There are also edited past editions of the Newsletter, and also the past few Sunday Homilies, and a colourful Picture Gallery recording some important events in our church’s life. The Web site can be easily accessed by typing in “stedwardsorthodoxdorset”. You should arrive first at the church services, especially …the Liturgy, and leave last, unless forced to do otherwise.